I spent the morning photographing this adorable baby girl last week! Her newborn pictures are too cute! 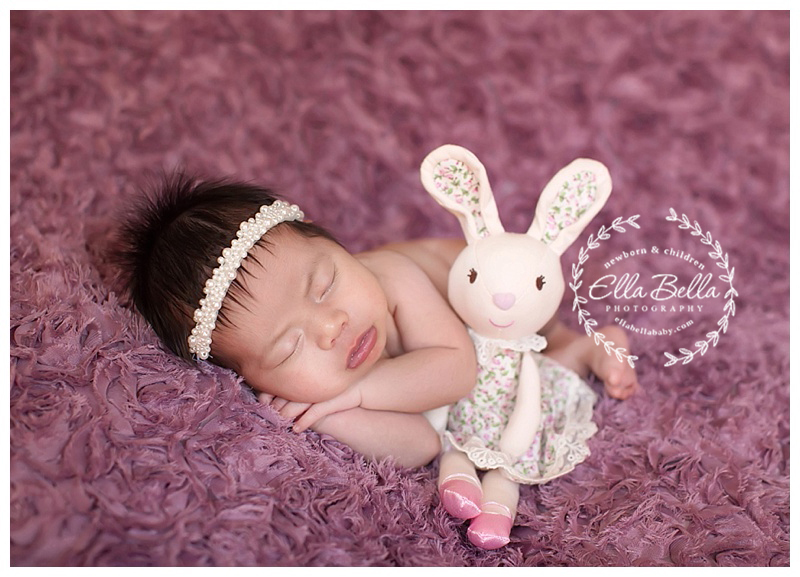 This little bunny is hers, and it coordinated so well with the floral purple background! I hope you enjoy the sneak peeks!